Modern age is very conscious about their health and fitness. Even the latest offices are going with some changes. Now they are not relying on their employees sitting on the desk, they want them on the run all the time. All he big offices are requiring their workers to be extra agile and for that very reason they are removing them ordinary desks from the office and alternating them with the Standing Desks. Seeing how these Standing desks are not only making the offices look fancy but also these wonder stuffs are keeping all the employees of the office more proactive and with it keeping them healthy and out of the reach of the diseases such as High BP, High Cholesterol, Weight Gain, Diabetes and many other forms of heart diseases. So all the offices are now shifting their thoughts towards this Standing Desk management system in their workplaces so that the workers would not get idle rather they will always be on their toes on the job and this will simply improve the productivity of their office and also have a busier looking office. Recently according to a new market research report published by Credence Research “Standing Desk market” Growth, Future prospects and Competitive Analysis, 2017-2015″, the global Standing Desk Market is set to hit US$2.8 Bn by 2025, exhibiting a double digit growth rate during the forecast period 2017-2015. Now like the name suggests these are not only one item but there are various types of items fir various types of need. Like Standard/Fixed Standing Desk, Mechanically Adjustable Standing Desk, Electrically Adjustable Standing Desk and Converter Standing Desk. And now all these stuffs are Applications for Corporate Offices, Education, Health Care, Residential, Manufacturing and other places for agile and productive workers. People are now leaning towards ergonomic furniture and this is the reason behind the overall Standing Desk market is primarily driven by the inclination of the people as well as enterprises. Enterprises are now more alternative towards the health hazards caused by poor posture to their employees. Subsequently since the past few years the overall spending on related ergonomic furniture has grown significantly. Adding to that, people are now more cautious regarding their daily activities and posture during the work hours and for this very reason they demand for more comfortable and ergonomic furniture. For these very reasons, the market is projected to witness strong growth in the following years. However, all is not merry in this sector, additional cost of standing desks apart from the already existing furniture hampers the market growth greatly. The Global Standing Desk Market is mainly segmented on the basis of product type, application and geographical regions. Depending on the product types, the market is segmented into standard or fixed, mechanically adjustable, electrically adjustable and converter standing desks as well as pc gaming desk. 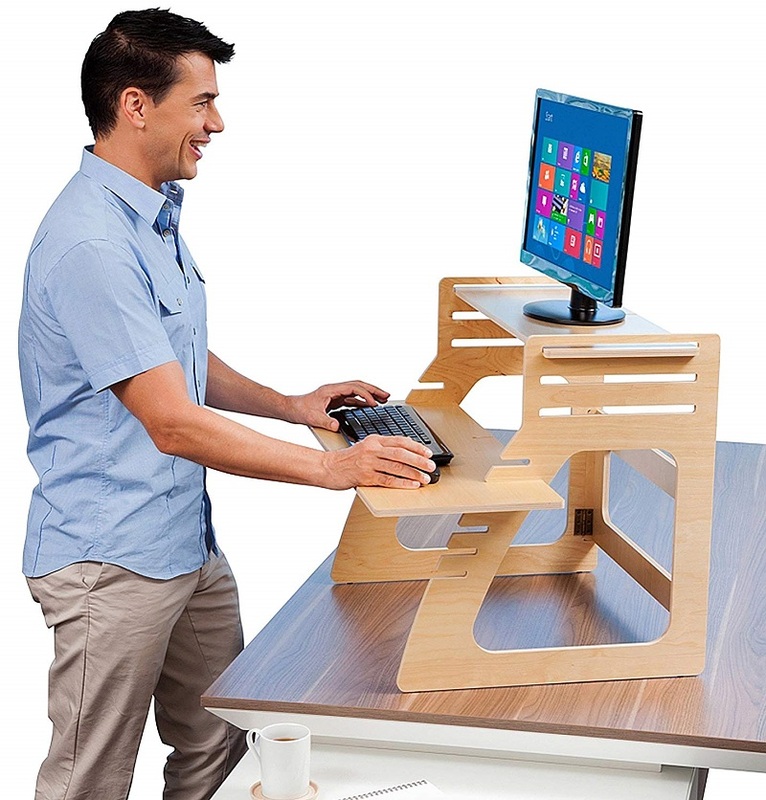 since 2016, the market is led collectively by the mechanically adjustable and converter standing desk segment. Converter and electrically standing desk segment is projected to exhibit highest growth across the global market in the following years. The market is segmented into corporate enterprises, residential, educational institutes, healthcare, and manufacturing and processing facilities on the basis of applications. This entire market was led by the corporate enterprises segment as of 2016. The main players in this Standing Desk market is Square Grove LLC, AFC Industries Inc, Ergotron Inc (Nortek Inc), Standing Desks with Power Adjustable Height Inc, Workrite Ergonomics Inc, UpDesk, Humanscale, Steelcase Inc, NextDesk Inc and IKEA. Now all these companies are yet to capture global market entirely so there are many scopes to jump into this mix. Offices in this area is yet to transform themselves into this modern technology. What gets me going now is getting to know toy planes in Miami, FL. Spent 2002-2007 lecturing about toy trucks in Ohio. Spent 2002-2010 getting to know pogo sticks for no pay. A real dynamo when it comes to writing about hobos for no pay. Earned praised for my work lecturing about mannequins in Fort Walton Beach, FL. Spent a year buying and selling jungle gyms in Africa. Are Stand Up Desks Harming Our Health?